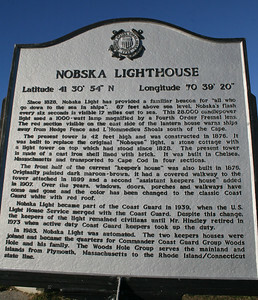 Nobska Lighthouse at Woods Hole, MA on the Cape. 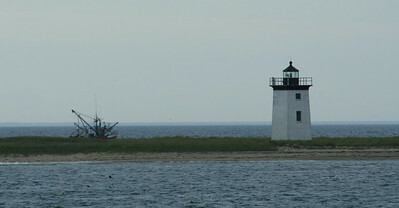 Nobska Lighthouse from a distance. 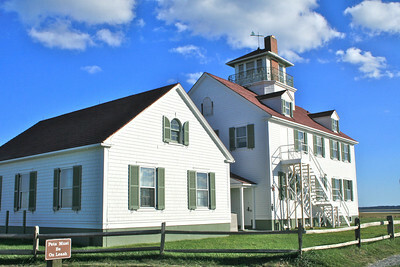 Nobska Lighthouse from the front. 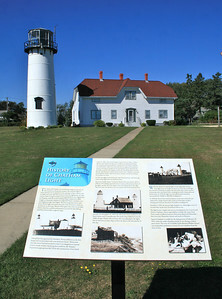 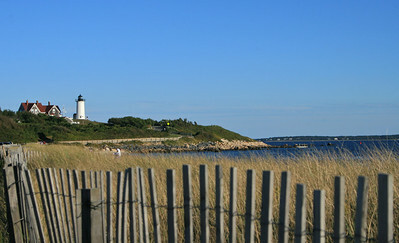 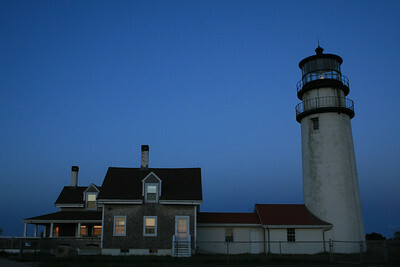 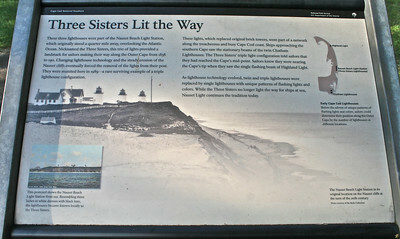 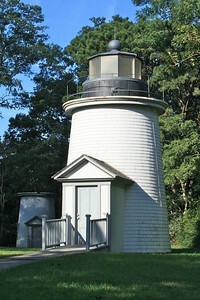 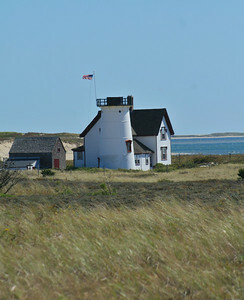 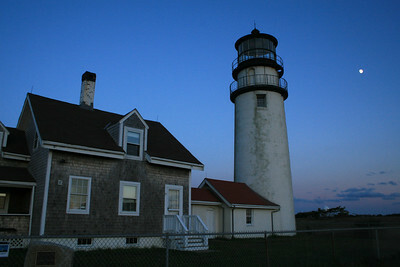 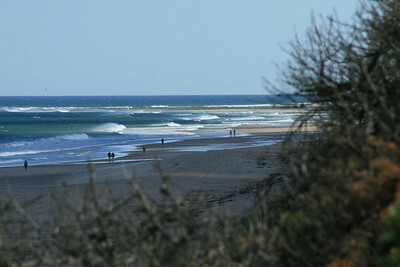 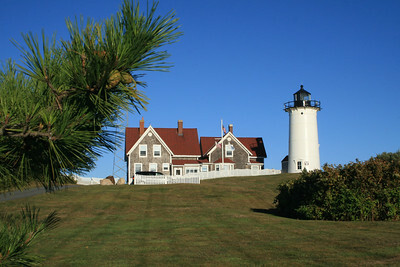 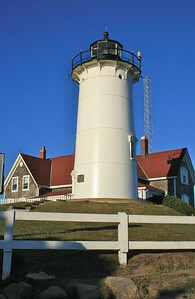 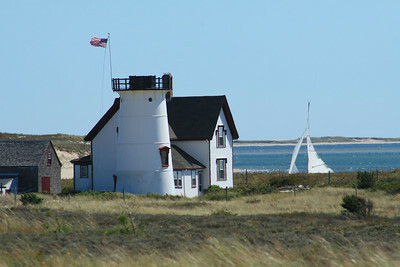 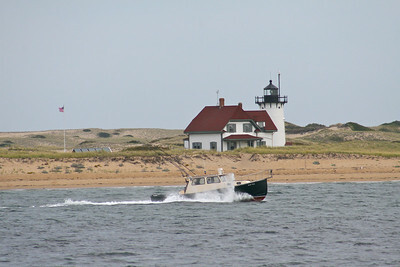 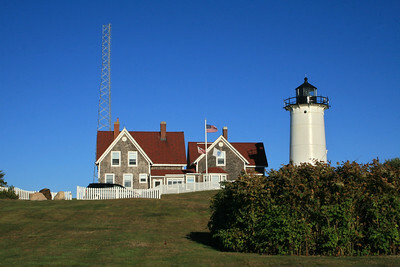 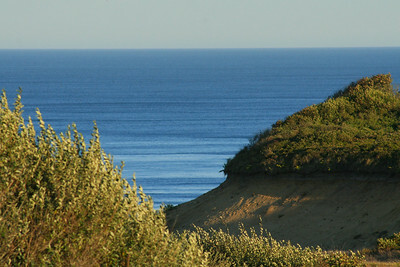 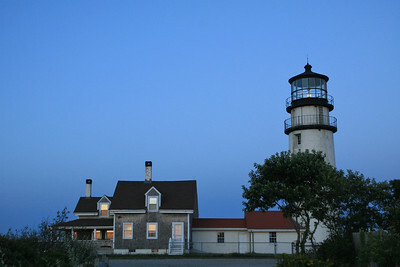 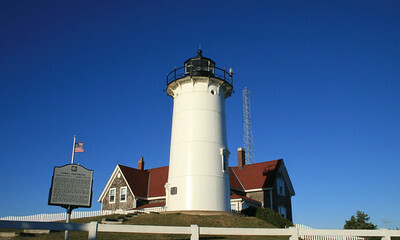 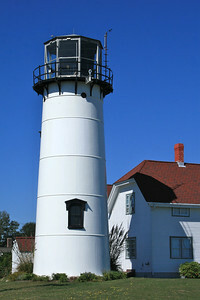 Stage Harbor Lighthouse, also known has Harding Beach Light is now a private residence. 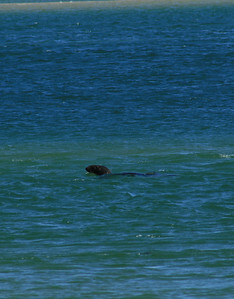 Seal swimming into the harbor. 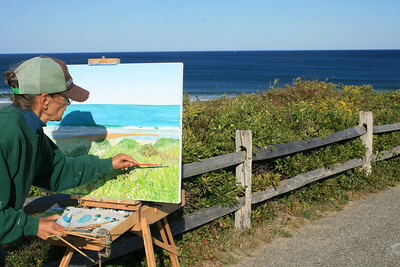 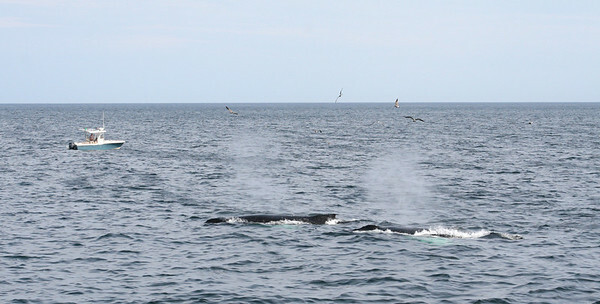 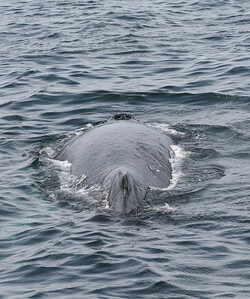 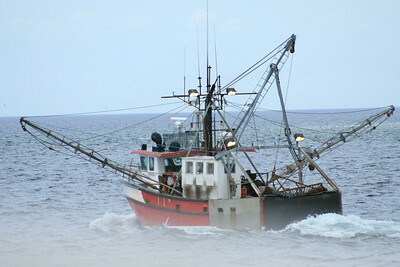 We didn't see any Great White Sharks coming after him! 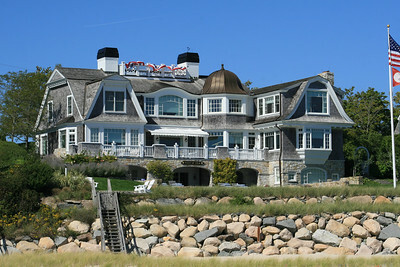 One of the many gorgeous homes along the cape. 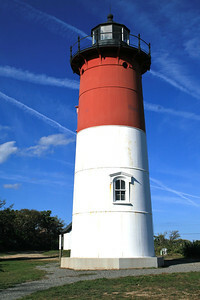 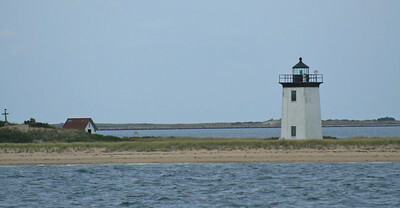 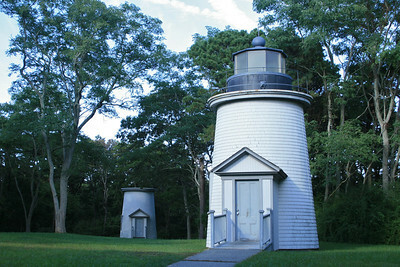 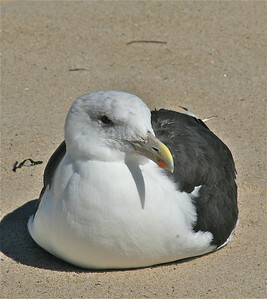 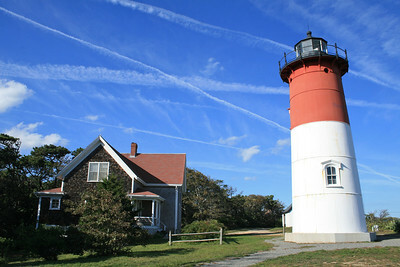 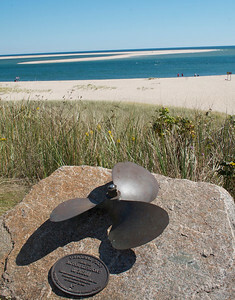 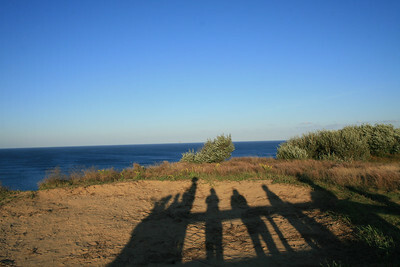 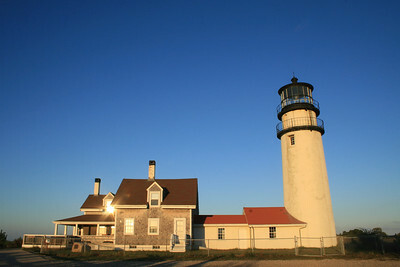 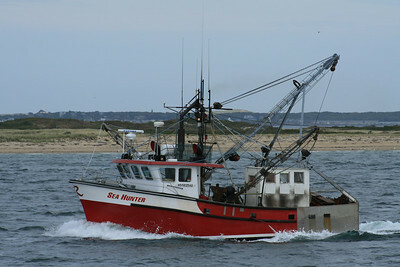 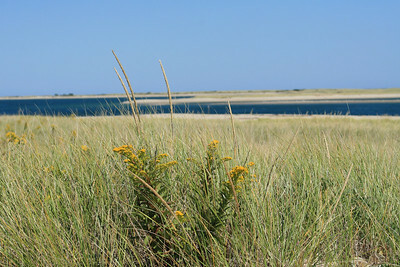 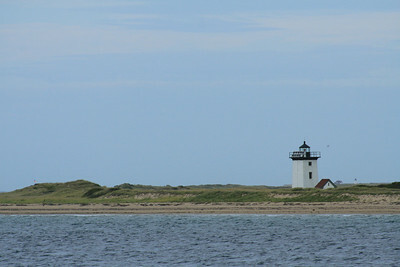 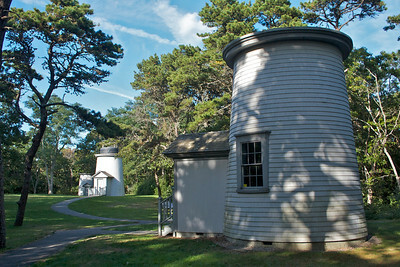 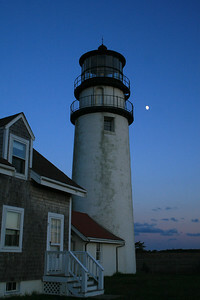 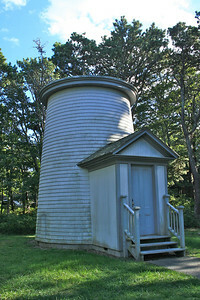 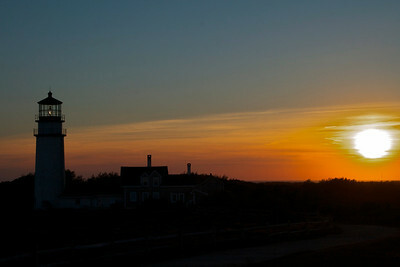 Wood End Lighthouse, Cape Cod, MA. 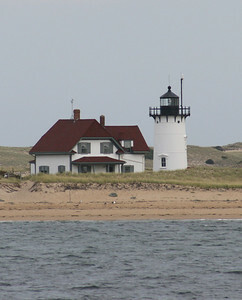 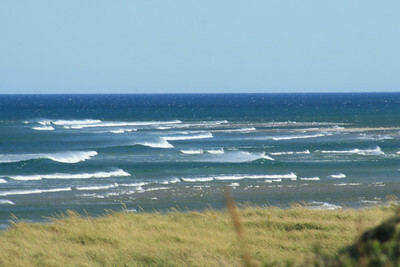 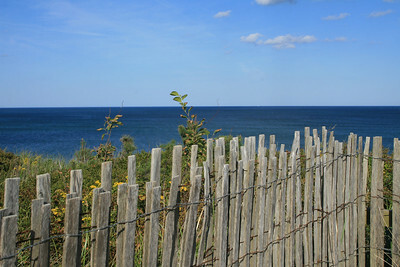 If you look closely you can see Race Point lighthouse behind Wood End Light.